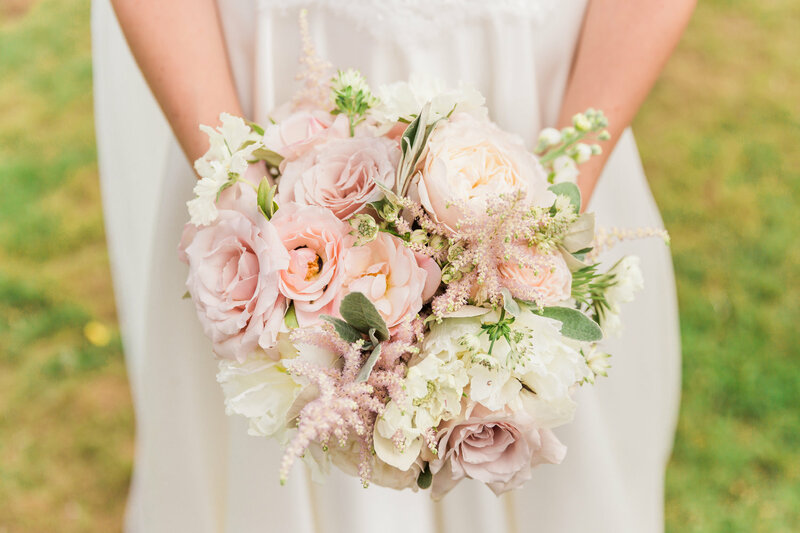 As soon as we saw Zofia & Hugh’s incredible pictures, we were desperate to feature their wedding on our blog. 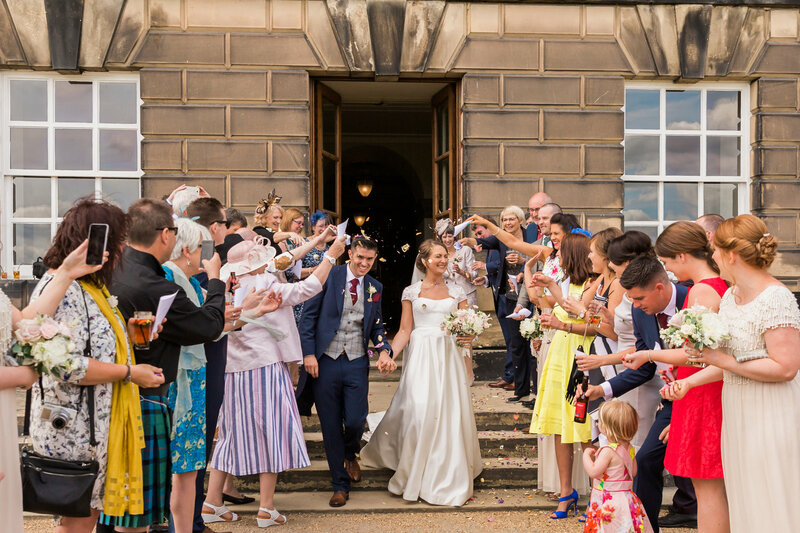 Lara Frost, incredibly talented wedding photographer captured the moments of Zofia & Hugh’s Wentworth Woodhouse wedding. 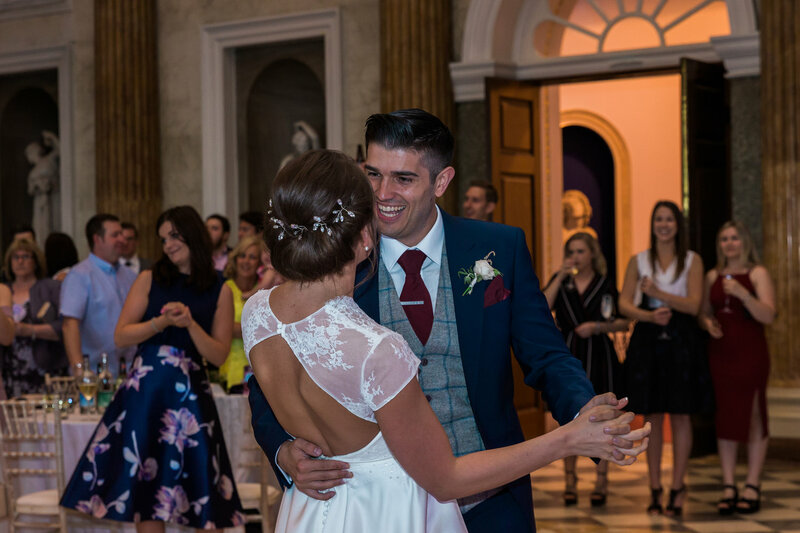 The grounds and grandeur of the building lent itself nicely to some truly wonderful wedding pictures – they were blessed with fine weather as well. 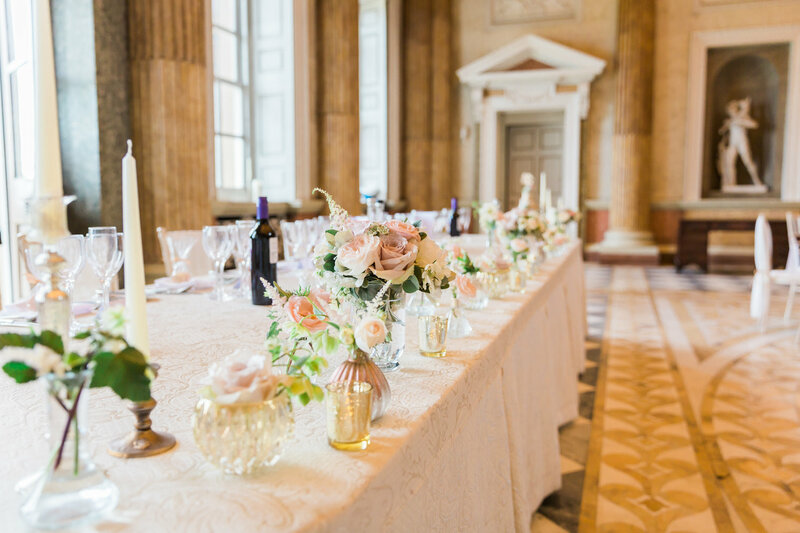 Soft pastel blooms and metallic accents complimented the bold architecture of The Marble Saloon perfectly. 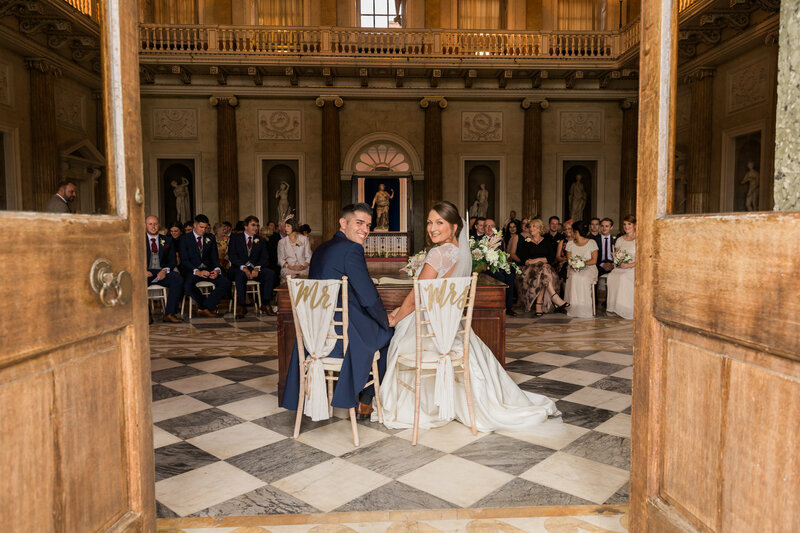 Zofia Hathaway (Now Skelton), Assistant Product Manager at Wilko head office and Hugh Skelton, an Operations Manager at The Maynard Arms in Grindleford, Derbyshire – said “I do” at the wonderful heritage venue, Wentworth Woodhouse on Saturday the 3rd June 2017 with 70 of their close friends and family. Where did you meet? We met through mutual friends on Facebook and then bumped in to each other in a night club a few months later. The proposal – tell us the story… We were on a champagne sunset helicopter tour of the Grand Canyon. We set off from Las Vegas and arrived in the canyon just as the sun was starting to set. As we were exploring the surrounding areas of the canyon I could see the tour guide was about to set out the food and champagne so was keen to get back. Hugh was reluctant and wanted us to wander on a little more, turning back and looking longingly at the food I decided to followed Hugh anyway. We arrived at a lovely spot and down on one knee he went….. The dress – where was it from & what was it like? How many dresses did you try on? The dress was from a place called The Little Pearl Bridal Boutique in Pickering, North Yorkshire. I had tried on probably 10 dresses by this point. 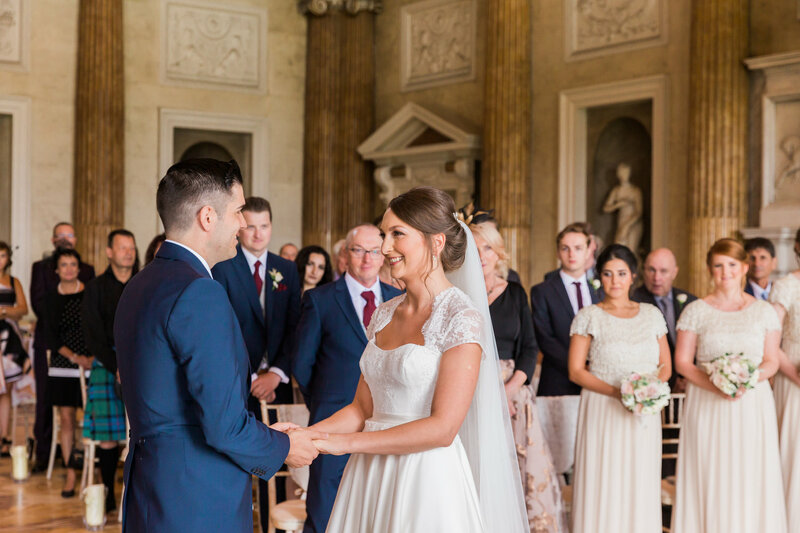 The ceremony – who conducted the ceremony and where did it take place? 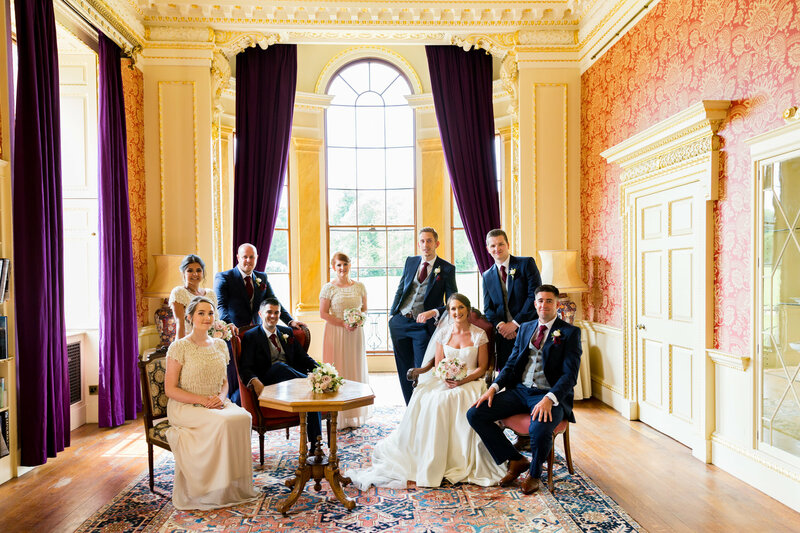 The ceremony was in Wentworthwood house. Rotherham council Registrars performed the ceremony. The cake – where was it from and what was it like? Cake was AMAZING! 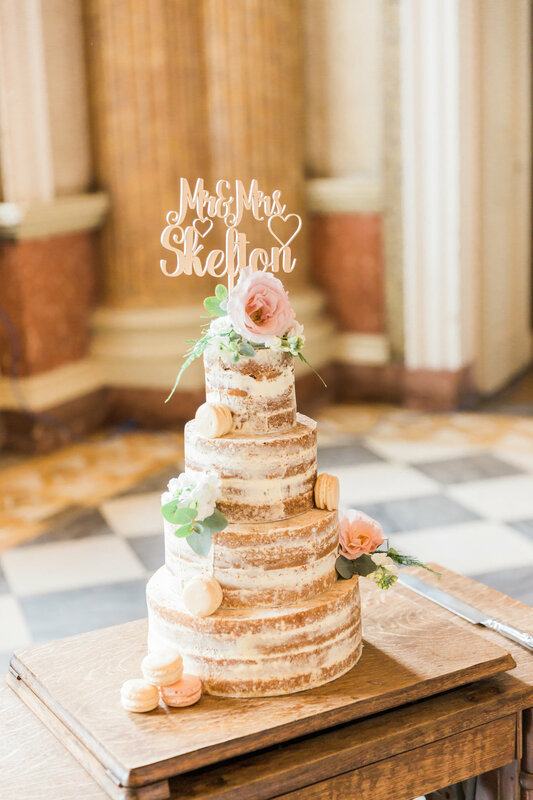 (Semi naked cake) decorated with flowers from my bouquet and Macaroons made by the same lady. Cake was from The Classic and Contemporary Cake Company. Who did your hair and make-up? It was two sisters Kirsty & Emma, but they are not on an social media sites. Would you recommend Dine to friends and family? 100% – They were so professional and wouldn’t have had the day we had without them. Where did you buy / hire the groom’s outfit from? Reece Ford Suit Hire. What was the most memorable part of your day? Seeing Hugh at the end of the aisle. If you could do it all again, would you change anything? Nothing, it was our perfect day. Where did you go on honeymoon? We did a tour of the Canadian Rockies. Vancouver – Jasper – Banff – Calgary.